Indian Beauty Blog | Fashion | Lifestyle | Makeup | SparkleWithSurabhi : Work from Home Jobs Scams List. Though it is the month of love and celebrating with your Valentine. I thought writing about a very important public issue which is indeed a very important one. I have recently seen these pop adds "Mom at home earns $7000 per month", " After having kids this women left her job and is now working from home making 1000's" "Google pays me a check of $4000 per month", "Stop surfing the net start earning?" " No experience required" Have you seen these adds? work 1 To 2 hrs Daily. I am sure you would have been curious to go through see websites and find out whether you can make that kind of money?, obviously if you are a mom and at home why not try to earn a little bit more? I recently received a lot of emails about work from home, automated paydays etc. Theses mails had content like:- registering with them and making money right away. 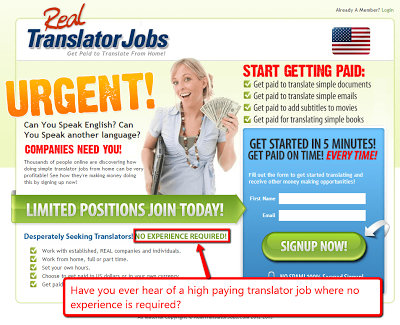 Many of the times websites have testimonies of women talking about how much they make and NO Experience required as these are simple data entry jobs or translator jobs. Sometimes there are video tapes of prominent Channels such NBC, CNN, Indian news channels etc where you can easily make out that the news readers voice was dubbed. One of such websites wanted me to pay about $35 and start away and earn $1000 just like that by registering with them. Now, the question arises are these websites legitimate??? Well, I surfed the net and I found out that these websites are actually a scam! They trap you by showing you videos of women making a lot of money at home baby sitting their kids and testimonies of people being paid, fake photo shopped checks which are very easy to make and not to forget that fake testimonies can be made on fiverr for $5. Yeah, that's how much it costs these people to fool and steal thousands from many innocent people who are already struggling to make money. These kind of checks are actually never sent out. these days multinationals prefer to pay by "wire" or "PayPal"
There are many scam websites that ask you to register and pay, after that they send a couple of .pdf files about internet marketing and earning through affiliations however this information is available for free on the internet and building a blog, website and affiliation is not rocket science. Moreover if you ask these people to refund your money they never return it back to you. These people are scam artists and have multiple accounts in multiple location around the world and it is almost impossible to track them and even if they get caught or arrested they do for a very small time and they run back to their countries to do more scams!!. A high number of Nigerians have been caught doing these scams along with the some Indian citizens. which is a shame and citizens of other nations have also been found guilty of committing such frauds actually this is an organized crime. They also have a lot going on in their list of scams, have you received mails claiming that "You won $1000000 or 2500000 pounds?" these are fake emails and they are probably the same people who have now started the work from home scam. Since mail scam is not working anymore. Nobody can make you rich over night... Please beware! Do not disclose you credit card details or identity to these people as they will use your account information and steal cash from you and disappear. It is very easy to set up these websites and testimonials.. Recently these pop ups have risen in number, it proves that these scam artists have become desperate and are not making much money. So, please download a pop blocker like "ad block plus." I sell and buy a lot on eBay and these pop ups come out of nowhere like crazy rats! I hate em!! I hate em!! I want to block all of these adds and send all these cheats to jails of their respective countries. You will be locked in at this one-time price. No other fees will EVER be charged. Legitimate Work from Home Jobs. 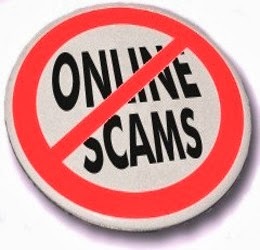 "Any websites that claims they will hire you right away without any experience after registration fee of some $30- $90 is a Scam!! Please don't fall in this trap, it's growing everyday and now it has become a nuisance. Always remember that these people are making money and not you." If you still wish to try out these kind of websites, then do so on your own risk and always try to make a payment online through PAYPAL your money is safer like that. You can always dispute through it and get your money back. So, be safe and stay away from these scams!! Labels: job scams, work from home jobs, work from home scam. Get Paid To Write Online! Brand New Writing Jobs Membership Site Now Available For You..